Whether it’s cleaning out a junk drawer, or daring to reorganize the garage, many of us start with the same struggle when it comes to tackling home organization projects. “Where do I even begin? !” Your finances are no different. As organization professionals tout, the fewer pieces of clothing you own, the more likely you appreciate, and use, what you have because you can finally see it all arranged clearly in your closet. Similarly, by taking a few simple, manageable steps to thin out and arrange what you have financially, you can begin to feel more organized—and more confident—in short order. It all begins with a plan. There are huge benefits to be gained by creating a financial plan, among them greater financial and emotional confidence. Despite this, two-thirds of Americans do not have a financial plan. So, what does it entail? If you think of these nine elements of the plan each as a separate room, you can start to organize. For example, you can begin by cleaning up your asset allocation room by thinking through your investment mix across domestic stocks, foreign stocks, bonds, and treasuries. You can then implement your preferred mix yourself, by balancing your index funds according to percentage mix, or you can delegate it by using a target date fund that changes your investment mix over time. This is just one example, but as you begin to begin to organize your asset allocation room, you quickly realize that it adjoins several others including risk tolerance and time horizon, and you can begin putting a dent in those rooms. As you work through the rooms, you’ll begin to see opportunities to group these rooms, almost like floors or sections of a house. Insurance and estate planning, for example, can be combined into one category. Investments and risk tolerance can go into another category. As we saw in the asset allocation example, these floors will even cross over, connected by hallways and staircases, and as they do you begin to get a holistic view of how it all works together. This is the benefit of asset consolidation, a key principle in financial organization that provides clarity on what you own and how it helps you reach your goals. The fewer asset accounts you have spread around, the better you can see what you own and manage it. You can certainly tackle tidying your rooms and organizing your floors on your own, as many choose to do, or you can call in the help of a professional, like the most financially confident Americans do. Financial professionals, like organization professionals, are equipped with the tools and resources to get the job done efficiently and expertly, having helped many before you. As important, like an organization professional, a financial professional can provide an objective view. Is a particular asset helping you, or is it just taking up space like that kind-of-sad junior varsity sweatshirt from ninth grade? In the end, whether tidying your house or tidying your finances, it’s all about sparking joy and building confidence, and there is surely magic in that. See how The Living Balance Sheet® can help you tell financial fact from fiction, so you can achieve financial balance. 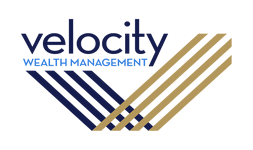 Velocity Financial Group is not an affiliate or subsidiary of PAS or Guardian.